The Paytm deal for BCCI’s title sponsorship rights is getting over and the Committee of Administrators will meet today to float the fresh tenders. The meeting will also be attended by three office bearers — acting President CK Khanna, acting secretary Amitabh Chaudhary and treasurer Anirudh Chaudhry. 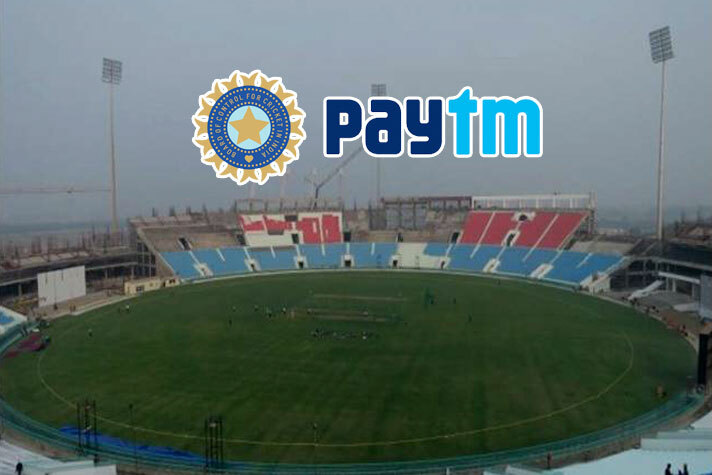 BCCI’s contract with Paytm signed in 2015 as the title sponsors of all domestic and international games (in India) is coming to an end. “Fresh tenders will be invited as per norm,” a BCCI official privy to the development said. E-commerce entity Paytm, owned by One97 Communication, won the BCCI’s title sponsorship rights for four years for Rs 203 crore, or Rs 2.42 crore per match in 2015 for four years. The rights included sponsor branding of series with the title sponsor logo, designation as the title sponsor of the series, visibility at the stadium, and broadcast sponsorship rights. The winning bid by Paytm was Rs 203 crore for four years for 84 matches. During the tenure, Paytm shelled out Rs 2.42 crore per India game. 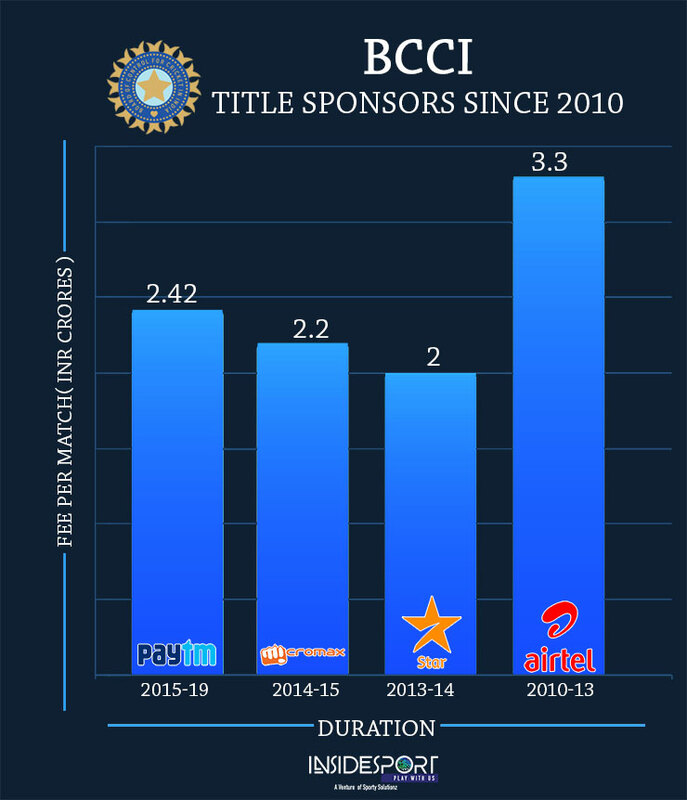 The BCCI title sponsorship rights had seen sharp fall once Airtel complete their tenure in the year 2013. Airtel which had bought the rights at 3.3 crore per game in 2010 decided against completing their tenure for the rights in 2013 which resulted in STAR India rescuing the board but at a heavy discount. Star paid 2 Crore per game for the title sponsorship rights and was succeeded by Micromax as sponsor in the year 2014. Pay TM rights cycle for BCCI rights started in 2015.